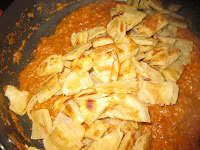 Today is the fourth day of blogging marathon and recipe is Chilli Parota.Chilli parota is a popular food item which is available from street side shops to restaurants.I made this one for yesterday dinner with frozen parotas and this is one of my family's favorite.It can be made easily with the frozen parotas.This is a very popular food item in Tenkasi, a town which is in Tirunelveli District. 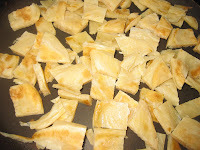 Cut the parotas into small size pieces and fry it with a tsp of oil in a dosa griddle and grind the coconut with cashews to a fine paste and keep aside. 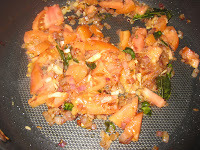 Heat a pan with oil and crackle the fennel seeds and saute the onions and green chillies till transparent.Add the ginger and garlic paste and fry for a minute,follows the tomatoes and cook it mushy. Now add in all the powder,give a mix and add the ground paste,salt.Add little water and let it boil it becomes thick. 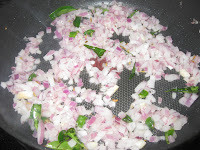 Now add the parota pieces and mix well and keep it in the low flame for 5 minutes,in between stir it for couple of times.Garnish it with coriander leaves. 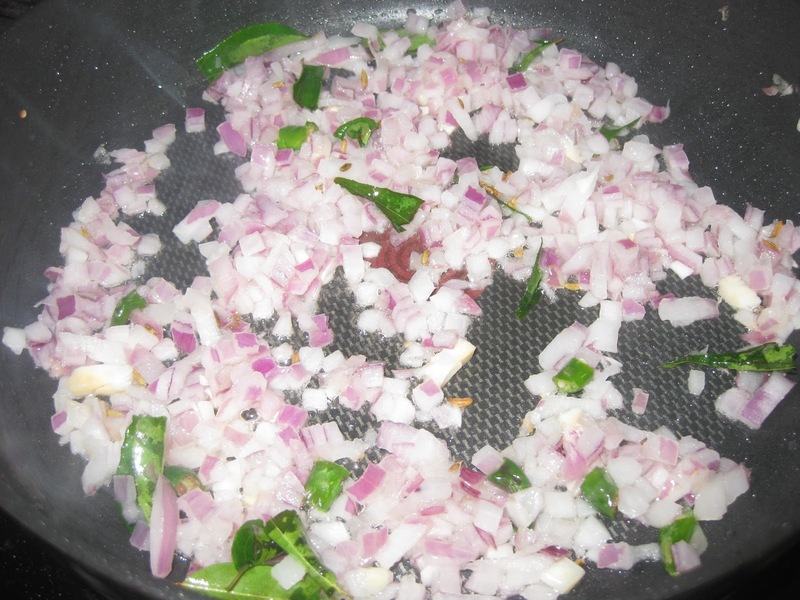 Enjoy it warm with onion raitha. 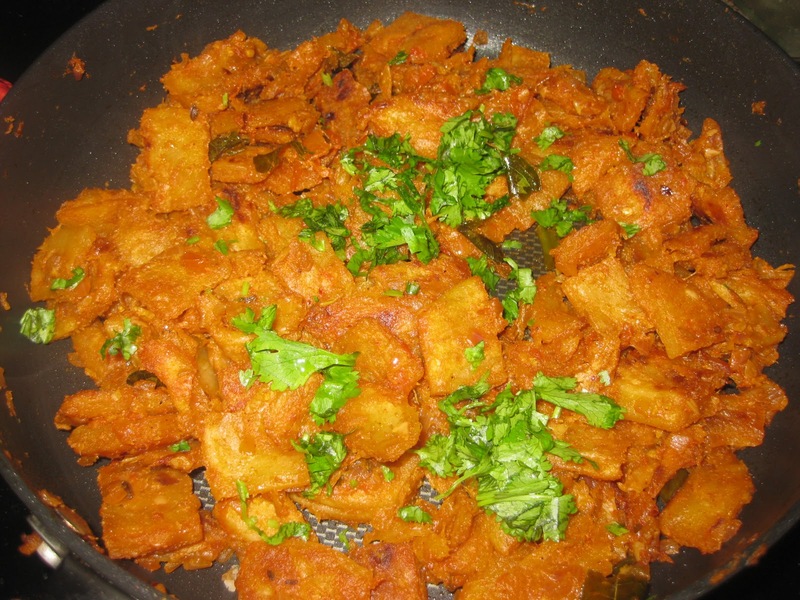 Here I used kashmiri red chilly powder to avoid food color. 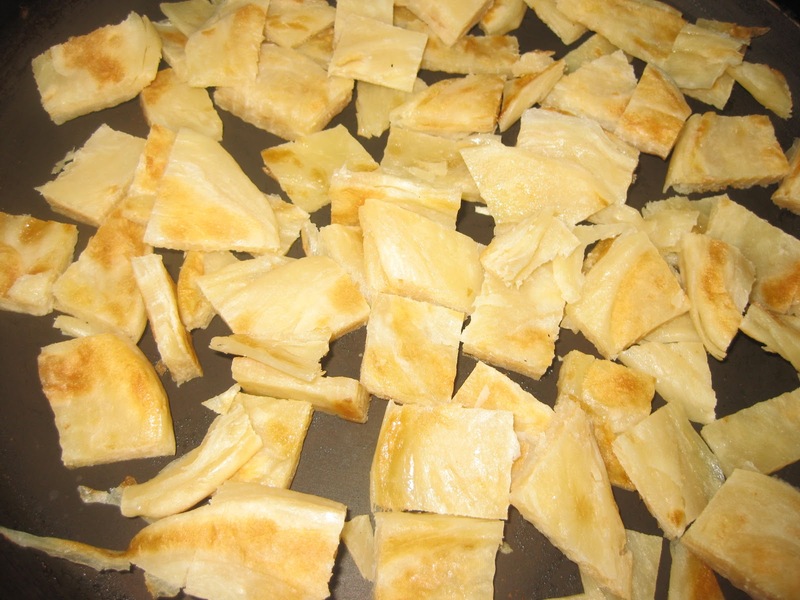 Originally the parotas are deep fried in the oil and added but due to high calories I avoid that step instead,saute the parota pieces in the griddle in a medium flame or keep it in the toaster oven for 5 minutes to get crispy. Garam masala powder can be substituted with chicken or mutton masala powder. 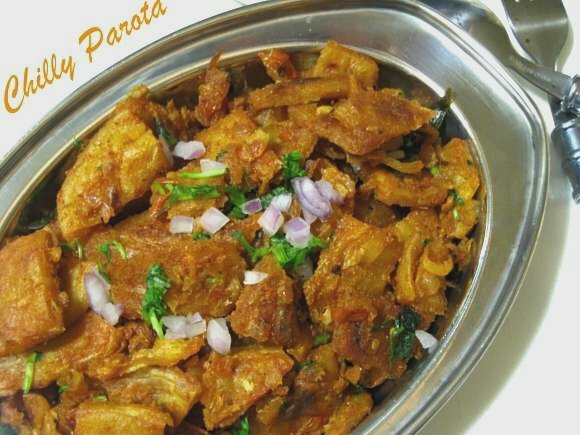 For deep frying the parotas,make a batter with maida,salt,ginger&garlic paste,garam masala powder and water to a thin batter.Dip the parotas strips in the batter and deep fry it in the oil in a medium flame. 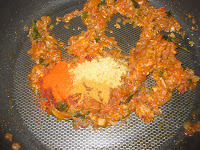 Check the marathoners participating in Blogging Marathon#9. 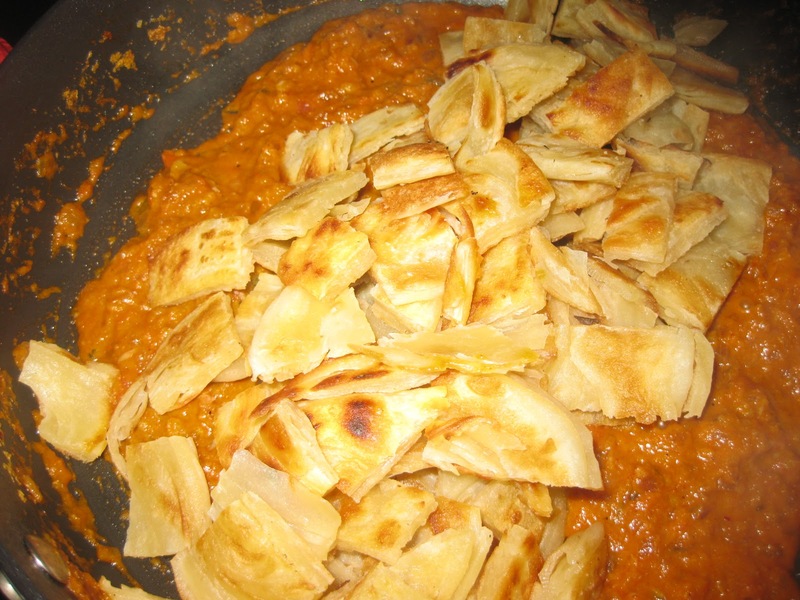 wow yummy... bringing back to my chidhood days. Love it. 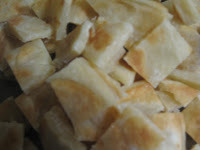 Tempting and perfectly done..I have seen this in a tv programme..Yum ! 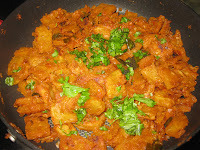 Feel like finishing that whole plate, super tempting chilly parotta..
wow, I like this process and adding coconut to it. absolutely yummy dear, too tempting and delicious one..
Parotta looks fabulous! 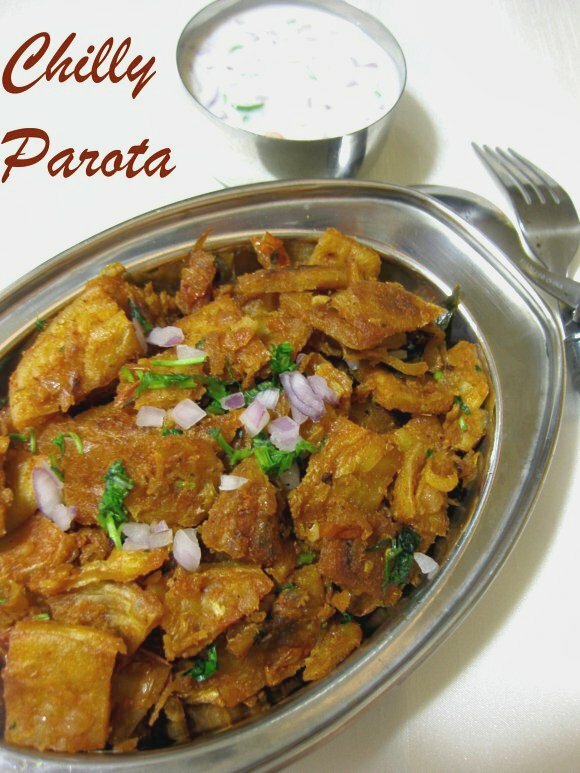 Anything that comes out a parotta is a winner in my book! Droolworthy click! Hey, I didn't know you lives in Allentown. Do you perhaps know a person by the name shanthi who has 2 kids -- Kaveesh and Tasika?? Well its a small town and you might have bumped into her..And Tasika is 6-ish..I won't be surprised if your kids go to the same school. wow they look so yummy and delicious ! 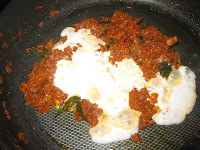 Whenever I go to Saravana Bhavan, chili parota would be my preference.Thanks for the recipe.I tried this and it came out good. Great Nalini!